The Irish budget carrier has posted a hefty profit in a year that saw plenty of turbulence in the airline industry. Insolvent German airline Air Berlin hopes to secure the jobs of most of its employees as a result of ongoing negotiations and expected sales of its assets to competitors Lufthansa and easyJet. British Airways and Air France have said they will halt direct flights to Iran starting in September. The move comes months after US President Donald Trump announced plans to reimpose sanctions on Tehran. 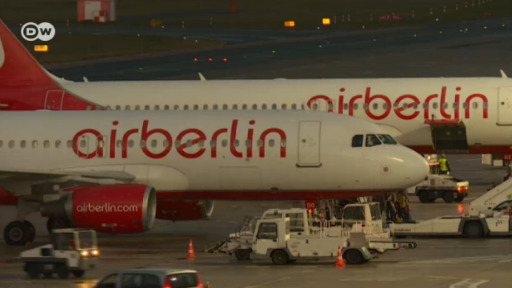 Germany's flag carrier is expanding rapidly after taking over a large part of the fleet of insolvent rival Air Berlin. The hiring spree will boost payrolls at both Lufthansa itself and its low-cost subsidiary Eurowings.